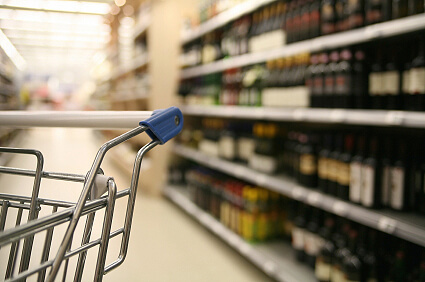 So, you’ve found a distributor to help you sell your wine brand, but now what? Contrary to popular belief the wines will not sell themselves, even if they are smashingly good (although this does help), and a distributors sales team often has a busy book of “other wine” brands competing with yours. So how do you build a successful relationship with your distributor? The following tips have been provided to help develop a positive relationship with your distributor. These tips are based on years of experience in working with many domestic and international wine distributors and wine brands. From experience, wineries and wine brands that use these marketing tactics generally achieve greater sales and stronger relationships with their distributors. Do you know who will be consuming your wine? I mean do you really know them well, or did you make this wine because you like it yourself. If the latter is the case, question yourself if there is enough people in the market place that want to buy a wine that you like? If there isn’t then perhaps you may like to alter your strategy. Once you know your target market well, then you can develop marketing strategies around attracting these people, which in turn makes your distributors job much easier. Is the quality of the wine comparable to other wines in the same price point? Does your wine brand have a unique and authentic story? A distributor will be able to sell your brands story if it is authentic and unique, however, if the quality isn’t up to scratch failure is imminent. The market is flooded with great wines, so it’s your unique and compelling story that will set you apart from the pack. Does your packaging have shelf appeal to the desired target market? Or does it get lost in the plethora of wines on the retail shelf? It’s always a good idea to go and see what your wine brand looks like on a retail shelf. It generally looks very different in this environment compared to your Cellar Door or winery shelf. The lighting is different and the fact that it sits next to 100’s of other brands will have an impact on how well your packaging stands out. You need to be sure your packaging is as good (if not better) than other wine brands in the same price point and has shelf presence and that it doesn’t get lost in a sea of other bottles. Do you have the current vintage? The old adage that wine sells better with age is not always the case. There are so many variables, including the price of the wine, the target market and variety to name only a few. However, a larger proportion of the market are looking for fresh vintage wines; being current vintage whites and 1-2 year old reds. So manage your stocks well and ensure you are releasing wine vintages at the appropriate time. Pricing your wine is tricky through a distributor model, with a number of different parties wanting to take their share of margin along the way. So, when you are deciding on your retail price point for your wine, be sure to take into account the distributors margin, retail margin and your business margin expectations. Don’t be greedy, it won’t serve you well in the long run. It’s vital to have a right distributor for your wine brand. You should be working with a distributor that has capabilities in developing your markets, not just selling your product. The skills, qualities, networks, channel focus and ethos of the distributor should be aligned with your wine brands distribution strategy. For example, does your distributor focus on retails sales and yet your distribution strategy is to build your wine brand on premise. Working with a distributor always takes longer than you first expect. Taking a long term view to build your brand and ramping up sales will serve your brand best in the long run. Start with modest sales forecasts and if you run out of stock in a vintage, while it is not ideal, it does help to build a sense of urgency and importance around your wine brand. Its better to run out of stock than have surplus that needs to be “cleared” through discounted pricing. Don’t judge your distributor’s results on the first few months alone. You need to work with them and be patient for at least one to two years before making any drastic changes. It is very important to develop and agree upon a budget expectation with your distributor. This budget will help to identify brand goals by channel. You should never assume that your distributor’s sales team knows anything about your brand. It is your role to educate the distributor’s sales team to be your brand ambassador. You need to spend time with them sharing your brand story, retail, on premise and wine of the month pricing expectations. Invite them to taste the wines, tour the winery (if possible), and treat them and train them as if you have employed them as a member of your staff. When you think about it, distributor’s sales teams generally have a large number of brands in their portfolio. Naturally, sales people will gravitate towards brands that are easier for them to sell. So what makes a wine brand easier to sell? Some annual plans are difficult for wineries and distributors to manage, so a minimum of a three months program should be developed in order to allow time for distributors to see the offer in. In the competitive wine marketplace, innovation and ‘out of the box’ promotions will set your wine business apart from your competitors. Be sure however that your idea is logistically sound and can be executed easily at the desired channel. Some distributors are cutting back on hosting principles in the trade, however there is nothing more critical than getting out in the trade and seeing what is happening for yourself. The best way to do this, is to spend time travelling with your distributor’s sales reps to call on clients. Retailers, bar staff and restaurant owners alike respond well to meeting winery owners, winemakers or other winery staff first hand. Building a direct relationship with these businesses and creating good will is essential in the wine market. It is vital to ensure that the communication lines are open with your distributor. This can be formal or informal however it is always a sound idea to agree up front on regular meeting catch up at a frequency that works for both businesses. At least we recommend formalised quarterly meetings and for wineries representatives to be available to address distributors needs. No matter how much you plan, something will inevitably go wrong or need to be changed. A wine producer needs to make themselves available to their distributors needs and be able to react to a distributors concerns or issues quickly and efficiently. Building a successful distributor relationship is important for your wine brands success. Never assume a distributor will undertake tasks without you driving it. Set clear performance goals and monitor their performance with patience and persistence. Make yourself available to them and their sales teams and treat them with respect and professionalism. A successful relationship with your distributor hinges on how hard you are prepared to work with them and include them as an extended part of your brands team. Your relationship should be taken seriously and given adequate support for positive growth to occur. For help with marketing your wine brand contact us today.